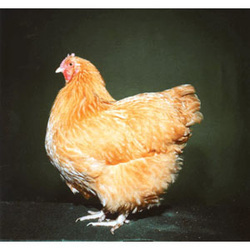 The Orpington which originated in England is a single comb, clean legged variety which weighs between 8-10 lbs. Buff coloration. They are a docile bird with a good disposition and make a good dual purpose bird. They are known for being a broody bird and for being quiet. 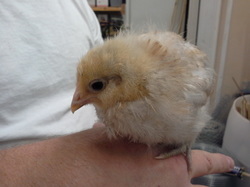 We are just starting to hatch these birds so I don't have a lot of pics to show. We will try to post some soon! Weight: Male- 10 lb. 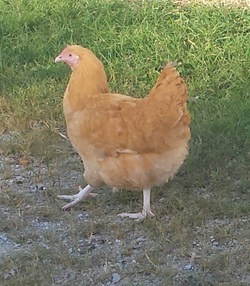 Female 8 lb. Here are some pics of our chickens and some babies, more to come!!! ​These are available as a straight run for $4.oo each at one week old. SOLD OUT!!! 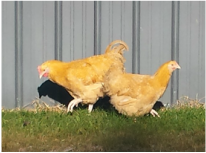 Pullets are available for $8.00 each at 1 to 6 weeks old. SOLD OUT!!! 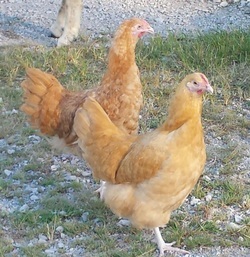 We sometimes have Point of Lay Hens for $20.00 SOLD OUT!! !